Soil Amendments – How Do You Improve Soil for Maximum Growth? For the amendment to do its job, it must be incorporated thoroughly into the soil. If it is buried, the effectiveness is reduced and will consequently interfere with the movement of water and air, as well as root growth and development. Amending the soil is not the same as mulching! (Although mulch may be used as an amendment after it has decomposed to the point where it no longer serves its purposes). 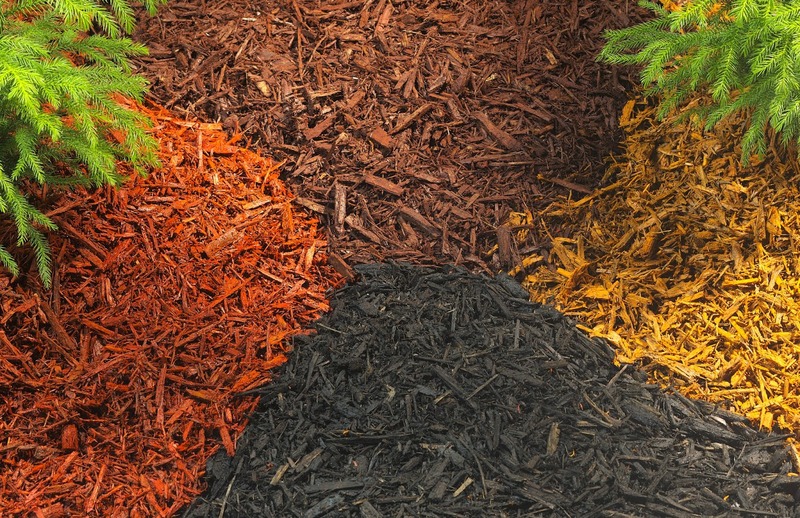 Mulch is left on the surface of the soil to reduce evapotranspiration and runoff, inhibit growth of weeds, moderate soil temperature, and to be aesthetically pleasing. Organic amendments come from something that was alive, such as sphagnum peat, grass clippings, wood chips, compost, straw, manure, wood ash, and sawdust, whereas inorganic amendments are either mined, or man-made, such as vermiculite, tire chunks, pea gravel, and sand. Just like how every human is different from one another, soils differ too! So it is important to choose soil amendments based on the specific soil characteristics and needs/deficits! In addition to improving physical properties of soil, organic growers use soil amendments to improve the overall soil fertility, as well as create a healthy habitat for soil life. This over time increases water permeability, aeration, and water & nutrient holding capacity. A number of the minerals and nutrients in the amendments are insoluble and are slowly released. The gradual release is similar to natural nutrient cycles and leads to healthy crops with little or no nutrient leaching. Decreased soil disturbance allows for the biological activity and organic matter decomposition near the surface, and allows for rainfall to permeate through. A problem occurring with adding amendments to the soil is the associated cost with large scale operations. Adding amendments to soils to increase productivity can rack up a hefty bill, so knowing how long the amendment will last in the soil and longevity of the amendment is important. Living in Alberta, we have a slight advantage … MANURE! Ranching and cattle farms in Alberta, especially in Southern Alberta, is a big business, and you are never far away from a steady supply of manure, which is a great soil amendment. 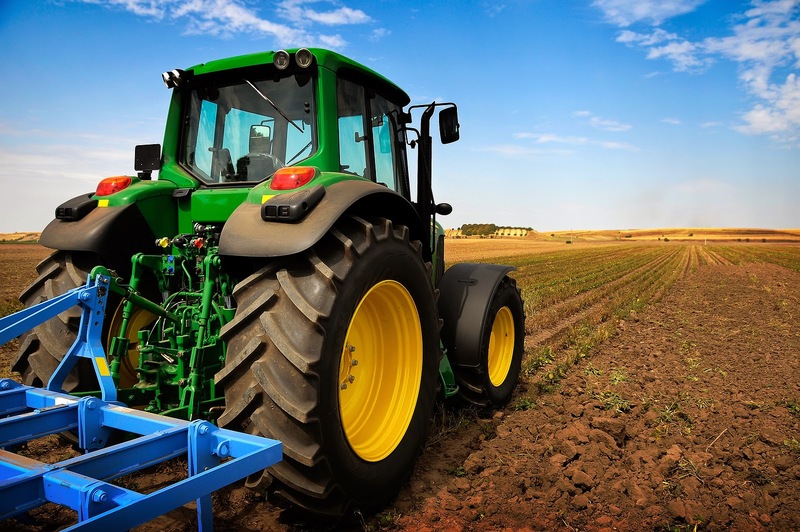 Using manure, grass clippings, and straw are readily available for amendments, and are relatively cost efficient at a large scale, as well as reducing tillage, avoiding compaction of soil, crop rotations, and growing cover crops. Here at Grow Calgary, we use grass, leaves, sod, and kitchen waste as compost to add to the soil! 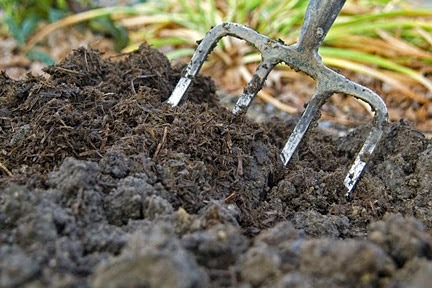 Soil is the unconsolidated material that lies at the earth’s surface that has been altered over time. Soil is not dirt! We get rid of dirt, but preserve soil! Soil is made up of minerals (from rocks), air (lets gasses in and out of the pores in soil), water (keeps reactions proceeding/allows plants and organisms to grow), and organic matter (dead/decaying plant and animal matter). It is also known as the “skin of the Earth”, providing interfaces between the lithosphere, hydrosphere, atmosphere, and biosphere. Soil, in the end, is a product of the climate, relief (topography, aspect, elevation, and slope), biotic interactions (organisms), and organic material (parent material) interacting over a period of time. Much of the Earth’s surface is covered by soil, and life on Earth is completely dependent on it, aided with air and moisture. 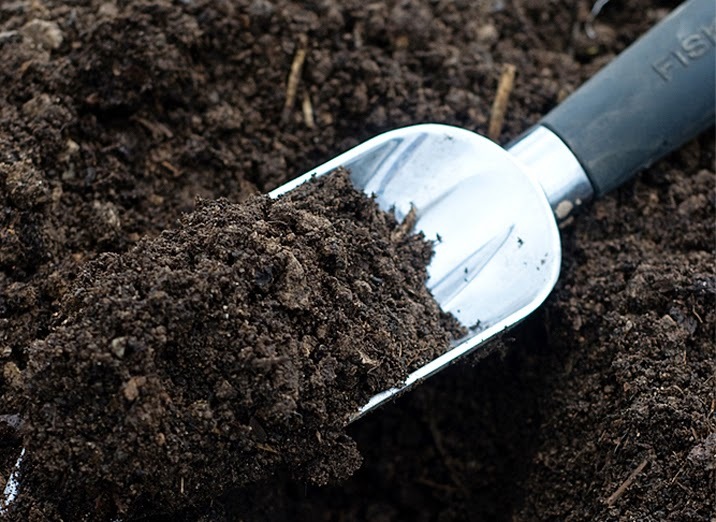 Soils are constantly undergoing change by physical, chemical, and biological processes. This constant change over time has developed vertically layered structures from the top down (oldest at the bottom, youngest at the top), these are called horizons. Each horizon is differentiated on the basis of colour, structure, texture, chemistry, and organic matter, among other variables. The O-Horizon is the organic (humus) layer; This layer is dominated by large amounts of plant and animal residues that are in various stages of decay. This horizon is mainly found in forested areas. The A-Horizon is the organics mixed with minerals, often referred to as “topsoil”. The B-Horizon is the sub-soil, which reflects the characteristics of its parent material. The C-Horizon is the parent material in sedimentary rocks, which is composed of large chunks of rock. The R-Horizon is the parent material bedrock. 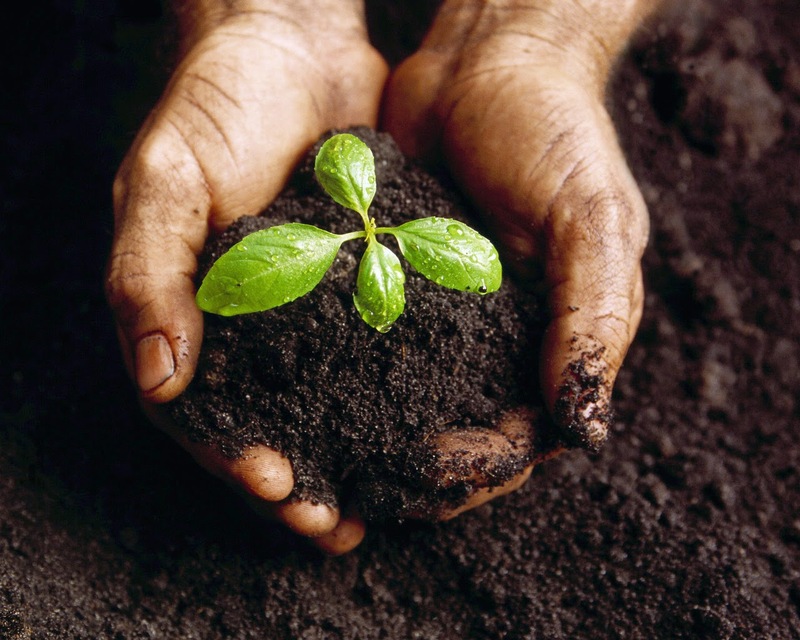 Grow Calgary is committed to our soil program. Good Soil = Good Food!